8th of Sahwwal 1430 A.H. - Anniversary of the destruction of the cemetery of al-Baqi. The cemetery of al-Baqi is located in Medina, Saudi Arabia. It is the cemetery where four honorable Imams - Imam Hasan(a.s.), Imam Zain al-Abideen(a. s.), Imam Mohammad Baqir(a.s.) and Imam Jaffer Sadiq(a.s.) - and the beloved daughter of the Prophet Mohammad(sawaw) and the leader of the women of Paradise Bibi Fatima Zehra(s.a.) are buried. In addition, a number of important personalities and honorable companions of the Holy Prophet(sawaw) are also buried there. On 21st April 1925, 8th Shawwal 1345 A.H., the ruling Saudi Government bombed and destroyed the holy Cemetery and razed all the mausoleum structures. Their main excuse was the teachings of their Wahabi Sect which considers all types of intercession to Allah(swt) through the Prophet(sawaw) and his Ahl-e-Bait(a. s.) a bid'ah and a sin. Their teachings also consider the visiting of the graves of the Prophet(sawaw) and other personalities as shirk - polytheism. Their real aim, however, was to distance the Muslims from their history and important historical personalities. Their teachings have, however, been refuted logically and referentially proven wrong by all other sects of Islam including the Shiite and Sunnites. Detailed History: On 8th Shawwal, Wednesday, in the year 1345 AH (April 21, 1925), mausoleums in Jannatul Al-Baqi (Medina) were demolished by King Ibn Saud. In the same year (1925), he also demolished the tombs of holy personalities at Jannat al-Mualla (Makkah) where the Holy Prophet (sawaw)'s mother, wife, grandfather and other ancestors are buried. Destruction of sacred sites in Hijaz by the Saudi Wahhabi's continues even today. The origins of Jannat Al-Baqi Literally "Al-Baqi" means a tree garden. It is also known as "Jannat Al-Baqi" due to its sanctity, since in it are buried many of our Prophet's relatives and companions. 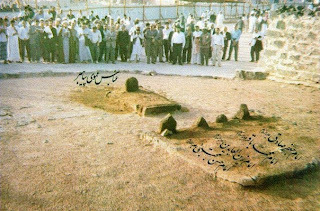 The first companion buried in Al-Baqi was Uthman bin Madhoon who died on the 3rd of Sha'ban in the 3rd year of Hijrah. The Prophet (sawaw) ordered certain trees to be felled, and in its midst, he buried his dear companion, placing two stones over the grave. In the following years, the Prophet's son Ibrahim, who died in infancy and over whom the Prophet (sawaw) wept bitterly, was also buried there. The people of Medina then began to use that site for the burial of their own dead, because the Prophet (sawaw) used to greet those who were buried in Al-Baqi by saying, "Peace be upon you, O abode of the faithful! God willing, we should soon join you. O Allah, forgive the fellows of Al-Baqi". Eid ul Fitr and Eid ul Azha prayers are obligatory during the time of Imam (A.S.), and it is necessary to offer them in congregation. 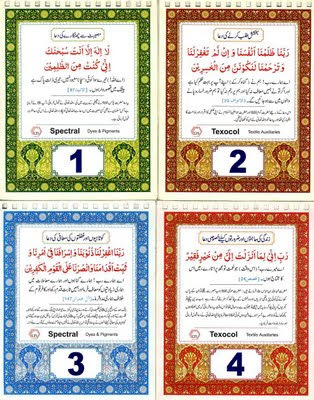 However during the present times when the Holy Imam is in Occultation, these prayers are Mustahab, and may be offered individually as well as in congregation. The time for Eid prayers is from sunrise till Zuhr. just to convey all readers , the importance of Eid ul fitr. I would like to start this topic with a sermon of Imam Ali bin Abi Talib (as) delivered on the day of Eid al-Fitr, in which he said: "O people! Verily this day of yours is the day when the righteous are awarded and the wretched are losers. It is a day which is similar to the one on which you shall be standing (before your Lord). Therefore, when you come out of your homes to go to places of your prayer, remind yourselves about the day when you (your souls) shall come out of your bodies to go to your Lord. When you stand on places of your prayer, remind yourselves of your standing in presence of your Lord (on the day of Judgement). And when you return to your homes (after prayer), remind yourselves about your returning to your homes in Paradise. (Nahjul-Balaghah) That is why It is recommended that Eid prayers be performed in the open fields, to walk barefooted to attend Eid prayers and to perform Sajdah on earth and to do Ghusl before namaz, and to place a white turban on one's head. 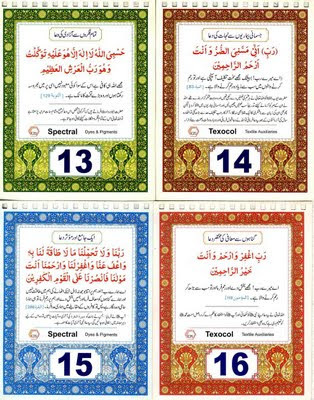 The Holy Qur'an says:Whoever has done an atom 's weight of good, will see it and whoever has done an atom's weight of evil, will also see it. (Surah az-Zilzal, 99:7,8) Eid Mubrak to all of you. Big Issue : Shias ! Can u tell why your imam is higher in status than prophets,and r equal in rank&status to Prophet (saw)? Name : Hasan Title : Al-Mujtaba Kunyat : Abul Muhammad Born : Tuesday, 15th Ramadan 3 AH at Medina Father's Name : Ali ibne abu Talib Mother's Name : Fatima (Daughter of the Holy Prophet) Died : At the age of 46 years, at Medina, on Thursday, 28th Safar, 50 AH. Buried : At the cemetery of Jannat-ul-Baqi in Medina Birth and Childhood of Imam Hassan (a.s.): In the mid of the month of Ramadan, the 3rd year of Hijrah, a son was born in the small mud house of Hazrat Ali (a.s.). The Prophet Muhammad (saw), on behalf of Almighty God, named him Hassan. Imam Hassan (a.s.) was brought up in the lap of his father Hazrat Ali (a.s.) and mother Fatima Zahra (s.a.) and learnt lessons from the school of his grandfather Prophet Muhammad (saw). Imam Hassan (a.s.)Imam Hassan (a.s.) had a great worth and status in the eyes of the Prophet Muhammad (saw). Such as, one day he Prophet Muhammad (saw) was on the tribune, delivering a speech to the people, he heard the voice of his weeping. He came down from the tribune, went to calm him down, and then returned to his place. When the people asked him the reason for this act. He (saw) said, "Whenever I hear the voice of his weeping I get restless". The Prophet Muhammad (saw), having offered his prayer along with the people, would lift Imam Hassan (a.s.) into his lap and would say, "Whosoever loves me, must love this child as well". Sometimes, he (saw) lifted this child upon his shoulder and said, "It is hoped that God will purify this Ummah through him". Or he would say, "Whosoever loves Hassan (a.s.) and Hussain (a.s.) he loves me and whosoever nurses grudge and has enmity against them has enmity with me". "Hassan (a.s.) and Hussain (a.s.) are the two chiefs of the youths of the paradise". Then Prophet Muhammad (saw) said, Hassan (a.s.) and Hussain (a.s.) are the two earrings of the Empyrean, paradise of God takes pride and potentates due to them. 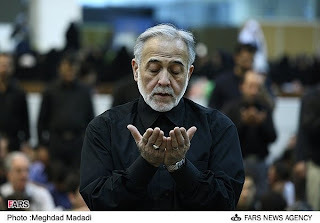 Awareness and Courtesy of Imam Hassan (a.s.): One day, an old man was performing ablution. His ablution was futile and invalid. Imam Hassan (a.s.) ought to make him aware of his fault but how? If he said to him you are wrong possibly his heart might break and he got annoyed and did not accept it. He along with Imam Hussain (a.s.) decided to create a scene and ask the old man to make the judgment. Imam Hassan (a.s.) addressed Imam Hussain (a.s.) and said, "I perform a better ablution as compared to yours." Imam Hussain (a.s.) said "I perform it better than you do." Both of them approached the old man and said, "You come and see our ablution and decide who performs a better ablution." Both of them got busy with performing ablution and ended it in a correct and nice way. The old man understood what was the secret of their act and became aware that they meant him to find out his fault, in this way. So he said to them "The ablution performed by both of you is correct, I am an old man, who did not know how to perform the ablution correctly. You made me aware about my fault. I am much thankful to you." Piety and Purity of Imam Hassan (a.s.): Imam Hassan (a.s.) was the most pious, devout and ascetic worshiper and adorer of God. Whenever he went to Mecca for pilgrimage, he would go walking on foot. Whenever he performed ablution or stood for his prayers he saw himself in the court of God and his body started trembling he said, "The time has come for me to submit the deposit of God to Him." When he came to mosque, he would raise his head, in the prayer place, towards the sky and say, "Oh God this is your guest standing in your court. Your defaulter servant has come towards you. And he hopes that you will forgive his bad deeds, by virtue of your kindness and forgiveness. The Fortitude and Forbearance of Imam Hassan (a.s.): One day he was crossing a street riding a horse. On the way he came across a man who was one of the friends of "Muawiyah". When that man knew he was Imam Hassan (a.s.) he started using an un-respectful language. Imam Hassan (a.s.) stopped and listened to him and then facing him said, "I think you are a traveler and stranger and not a local person. You have been provoked by the enemies about us and their false words about us have made you cynical and pessimistic about us. If you have a need I may fulfill that need. If you are hungry, I will order to feed you. If you require a dress and clothes, I will order to dress you up. If you don't have residence to live in I will take you along with me to my house and extend hospitality and give you treatment. When that disrespectful person heard those words from the Imam (a.s.), he got very much ashamed and repented. He was so upset and uneasy about what he had done that he started weeping and apologized and said, "The words of your enemies had affected me. Before this (event) you and your father were the greatest enemies of mine among all the people. But now that I have witnessed this courtesy of yours, you are the most respectful and gracious to me among all the people. I became aware that you are a family who has the capability of becoming the heirs of the Prophet Muhammad (saw). Till the time I am living I will be a friend and devotee of you and would defend your right. So he did what he had said. The Charity and mercifulness of Imam Hassan (a.s.): 1. A person came to Imam Hassan (a.s.) and said "poverty and bad luck is torturing me. You are a family of chastity, purity and infallibility. Get me saved from this cruel enemy?" Hazrat Imam Hassan (a.s.) called his servant and said, "How much money do you have available?" He replied "five thousand Dinnars" He said, "Give all of this money to this man so that it may become the capital of his business and life and he may relieve himself off and get rid of poverty and resource less ness. 2. One day, Imam Hassan (a.s.) went to the house of God. In the very condition when he was busy praying he heard a man addressing his God and saying, "Oh God, I need ten thousand Dirhams to get it shaped as the capital of my life and you the merciful one give me this boon and blessing". The moment Imam Hassan (a.s.) returned back, he sent the said amount for him. 3. A poor and distressed man came to Imam Hassan (a.s.) and recited a rhyme meaning thereby, "I am left over with nothing, not even a single dirham. You can perceive my condition fully well and know it. I have nothing left with me to sell except my honor. I know you are the purchaser and buyer of it." The Imam Hassan (a.s.) at once called his servant and said, "Whatever money you have got with you, give it to this man." The servant gave ten thousand Dirhams to him. Hazrat Imam Hassan (a.s.) asked the servant to make excuse as well, because, he did not possess more than that amount to be given out to him. He advised him to take that money and use it for his life and running the wheels of it and possibly getting rid of poverty and distress. These few stories exhibit this fact that in the same way Imam Hassan (a.s.) was thoughtful and consider ant about the dooms day of the people, he was careful and considering about their Worldly affairs, for, the World is connected and patched up with the justice day. And the hunger and poverty stricken man cannot think about his dooms day. We must fully know that the Imam's helps and aids to the people as were not of the sort to encourage people about begging. Instead, these were extended in a manner to extend job and activity chances for them. Imam Hassan's (a.s.) Caliphate: On the 21st night of the Ramadan of 40th Hijra his father Hazrat Ali ibn-e-Abi Talib (a.s.) passed away making all the people sorrowful and grieved. Imam Hassan (a.s.) who was 27 years of age came along with the people to the mosque and climbed the tribune and said, "Last night, a man, who was unique in knowledge piety, conduct and character among the previous ages people as well those to come in future, has gone out of you. He participated the battles along with the Prophet Muhammad (saw) and strived hard to guard Islam. A person who was the thorn of the eyes of the enemies and the fruit of the heart of friends. And he did not spare and accumulate anything from the wealth of the world for himself, except for seven hundred Dirhams by which he wanted to provide a servant for his family." 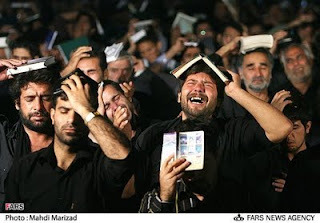 At this moment, the Imam (a.s.) wept bitterly and the people too wept. Then he spoke about himself. So that the people may know that the Imamate has been handed over to him and that people might not go astray and did not get misled. He said, "I am the son of the Prophet Muhammad (saw), Ali (a.s.) and Fatima (s.a.). I am the flame of the lighted lamp of Prophet hood. The families from which God has driven the dirt, contamination and pollution away. Then Abdullah Ibn-e-Abbas stood up and said "Oh people this is the son of the Prophet Muhammad (saw) and your Imam, beware, that he is the right heir and successor of Hazrat Ali (a.s.). So take the oath of allegiance and loyalty for him". 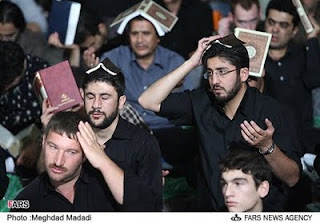 People moved in shape of groups towards Imam Hassan (a.s.) and took the oath of allegiance for him. Imam Hassan (a.s.) made it a condition that they would fight anyone against whom he fought and whenever he deemed it fit to make peace, they would also accept it. All of them accepted it, and willingly agreed and submitted to his Imamate. The Conspiracies of Muawiyah: Muawiyah had established a government and dominion in Syria and for years he had played tricks with cunning ways and means against Hazrat Ali (a.s.). He killed the friends of Hazrat Ali (a.s.) and brought into existence the perverted group and sect of Khwaraj Now, when he heard that people, after the martyrdom of Hazrat Ali (a.s.), took oath of allegiance to elect Imam Hassan (a.s.) for the caliphate post as the successor of the Prophet Muhammad (saw). This thing was very hard for him to tolerate. He sent spies to Kufa and Basra to find out and get him informed about what was going on. 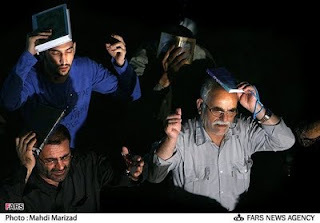 And thereafter, they may plot and hatch conspiracies against Imam (a.s.) if they deem fit and suitable they might start subversion and sabotage and create chaos, and disorder. Imam Hassan (a.s.) gave the order that the spies should be arrested and killed. Then he wrote a letter to Muawiyah: "Oh Muawiyah! You send spies and set your hands upon subversion? I presume that you intend to fight a war and you like war. If it is so, then I am also ready for it and the war is at hand. Do wait "Insha Allah". Muawiyah! I am surprised over you that you are the candidate for a job, which you don't deserve and are not worthy for it. Neither you have any superiority in the religion nor you have left any good effect, mark or impression from yourself as a monument and memorial. Muslims have taken oath of allegiance for me (caliphate). It would be to the interest and benefit of Islam that you too accept this act (caliphate) like the rest of the Muslims. Oh Muawiyah! Do not move the untrue and illusive (Batil) ahead, and you also take the oath and allegiance of faithfulness to me like the others, and do consider the blood of the Muslims respect worthy. If you do not accept my advice and wish to create disorder and chaos and spill the blood of Muslim I will quickly attack you along with the other Muslims, and will put you on trial. Muawiyah in reply to the Imam Hassan (a.s.) wrote: In the same way as Abu Bakr, due to his experience and expertise took the caliphate from Hazrat Ali (a.s.), I am more deserving than you and have more experience and it is better that you be my follower so that you get the caliphate after myself, and I will give you, whatever is the income of Iraq. Muawiyah not only denied and turned his face from taking the oath of allegiance, he also sent spies to kufa to martyr the Imam Hassan (a.s.). Thus the Imam Hassan (a.s.) was forced to wear armored Jacket under his clothes and then stand for offering the prayers. Once when one of the agents of Muawiyah threw an arrow towards him the arrow got ineffective due to the armored Jacket and so the Imam Hassan (a.s.) remained safe. War Begins: It did not take long that Muawiyah, on the pretext of bringing into effect Islamic unity, gathered a huge army and mobilized it to fight the Imam in Iraq. When the news of the movement of Muawiyah's army reached the Imam Hassan (a.s.), he invited the people to the mosque. He climbed the tribune and after the praise of God and the salutation to the holy Prophet Muhammad (saw) said, "Muawiyah has moved towards Iraq along with his army. It is your turn to get ready for the war and defend your honor and religion." But those despicable, vanquished and comfort loving people did not give a response to Imam (a.s.). Adi Ibn-e-Hatim stood up from among the people and very sadly addressed them saying, "What kind of people are you. What does this dead silence mean? Why do you not reply to the Imam Hassan (a.s.) and the son of your Prophet Muhammad (saw)? Are you not afraid of subject and suffering? Be afraid of God's anger and torment and chastise and obey the order of your Imam Hassan (a.s.). Get up and manly press your weapon in your hands and defend your honor, respect and religion. So that the God and Imam (a.s.) are pleased with you. These words alerted a group so they announced their readiness to take part in the battle. Adi Ibn-e-Hatim told the Imam (a.s.), "We are ready and waiting for your order." Imam Hassan (a.s.) said, "I am proceeding towards the Nakheela Camp and whosoever is prepared and willing may go to that place, although I know that you will not practice upon your promise and Muawiyah will deceive you. Disobeying the Imam Hassan (a.s.): When Imam Hassan (a.s.) reached most of those who were shouting the slogans of "war", "war" were not present there and had gone back and turned their back upon the promise they had made with him. Because those who had participated were comprised of: 1. Khawarij who had come to fight against Muawiyah and not for the sake of obeying the command of Imam Hassan (a.s.). 2. Those materialist and world adorers and greedy ones who were after the war booty. 3. Those who had participated for the sake of accompanying and following their tribal chiefs and not due to any religious inspiration. This is the reason Imam Hassan (a.s.) addressed them saying, "You betrayed me, like you had betrayed my father, who was your Imam before me. I don't know whether you will fight siding with Imam or someone who absolutely does not believe in God and His Prophet Muhammad (saw). Then he selected a man named Hakam as the army commander and put four thousand men under his command so that he moves to the city of Ambaar and stays there and applies restraint to the forces of Muawiyah till getting further orders. But Muawiyah deceived him by giving him money and making false promises. And he joined his army along with his two hundred men. Imam (a.s.) selected another man from the tribe of Bani Murad as his successor and said, "Although I do not have trust upon you. But this is a trial, you may also proceed." When Muawiyah came to know about his arrival, he sent his delegates with five thousand Dirhams for him and promised to give him a governorship. He was too deceived by Muawiyah and joined him. Imam Hassan's (a.s.) Grief: When the news of the joining of tribal chiefs with Muawiyah reached the Imam Hassan (a.s.). He was much affected and shocked and said, "Did I not say several times that you do not have any faithfulness and trustworthiness, and your conduct with me is that of artifice, and cunningness? He then decided to gather an army himself and move. By the efforts of his friends nearly four thousand men gathered. Imam (a.s.) along with "Sabaat" went to Madayan and sent twelve thousand men under the command of Obaidullah bin Abbas and his helper Qais bin Saad, as a file leader and fore runner to meet and resist Muawiyah, so as to test their spirit and strength of devotedness. Muawiyah sent his agents along with one million Dirhams among the forces of Imam Hassan (a.s.) to get Qais deceived but Qais did not yield to his desire and answered them, "tell Muawiyah you cannot take my faith from me and I will not desert and leave Imam by any of your artifices and frauds." The agents who got disappointed by Qais and went towards the real Commander Obaidullah bin Abbas and lured and deceived him and he along with a group of his followers joined Muawiyah at the nighttime. When the army men of Imam Hassan (a.s.) became commander less, Qais took over the Command and lead the Jamaat prayers. Qais was fighting fiercely and ferociously and had made Muawiyah harassed and fearful. As a result, he sent a few spies among the army men of Qais, so that they may make this propaganda that Imam Hassan (a.s.) has entered into peace treaty with Muawiyah and you are fighting for no reason. By this way Muawiyah succeeded in separating and detaching the group of Khawarij from the Imam's forces and in deceiving them to attack the Imam Hassan (a.s.) and what he desired did materialize. The Rioter Khawarij: This stupid and silly group did believe in what spies of Muawiyah told them and disobeyed the orders of Imam Hassan (a.s.) and they raised a hew and cry that Imam Hassan (a.s.) had also become an infidel like his father (Maaz-Allah) and had joined hand with Muawiyah. Suddenly, a platoon attacked the tent of Imam Hassan (a.s.) and looted whatever they found, to the extent that they even pulled out the carpet of Imam Hassan (a.s.) from beneath him. Imam Hassan (a.s.) was forced to leave that place and he rode upon horse and a group of his friends were all around him. One of them (the attackers) rushed out of his hiding place and injured the Imam Hassan (a.s.). Imam Hassan (a.s.) was carried to one of his friend's house and provided medical care and treatment. It came to that, most of his governors, secretly and confidentially, wrote letters to Muawiyah saying we are at your command and disposal as soon as possible come to Iraq, we will arrest the Imam Hassan (a.s.) and hand him over to you. Muawiyah sent all those letters to Imam Hassan (a.s.) along with a covering letter saying, "These people did not remain faithful to your father and they will not remain on your side either. I am ready to sign a pact with you and overlook the war. Why Imam Hassan (a.s.) accepted the Truce? The adventurer Khawarij and the dishonest friends of Imam Hassan (a.s.) made it inevitable for the Imam Hassan (a.s.) to accept truce with Muawiyah. But truce did not mean that Imam Hassan (a.s.) colluded and put up with Muawiyah and agreed to his cruel and brutal activities. But it meant to make a no war pact with Muawiyah for a certain period. Because, if Muawiyah became victorious he would had smashed and destroyed all the hopes of Islam and would have destroyed the foundation of Islam and killed all the true Muslims. Besides, the Roman Empire was seeking a chance to attack the Islamic lands, and this mutual difference of Muslims was the best opportunity for it. 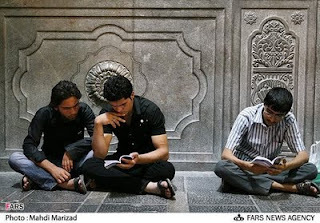 Thus Imam Hassan (a.s.) who was smoldering with pain spoke to his untrue and unfaithful friends, "I know that you would practice craftiness and artifice, a group who do not have neither shame nor religion have unconditionally handed themselves over to Muawiyah, woe to you, By God, Muawiyah will not fulfill his commitments. I wanted to establish for you the religion of the right but you did not help me. You started moving on the path of opposition and confrontation and committed dishonesty with me, which forced and obliged me to sign the treaty. By God, if I had friends and helpers I would not have surrendered the work to Muawiyah because, I consider the caliphate to be prohibited for Bani Ommayide. You will soon taste the bitterness of the conduct of Muawiyah, day and night. After the Imam Hassan (a.s.) was forced to make truce with Muawiyah, he wrote a letter to him saying, "I wanted to revive the right and put an end to rescinded and vanity and establish the ruler ship of God and the sunnah of the Prophet Muhammad (saw) but people did not agree and accompany me. Now, I am making a truce with you upon the conditions, which I know that you will not fulfill and comply with. But soon you would repent, but that will be a time when it will not be of benefit to you. Then, he sent his cousin Abdullah Bin Harris to see Muawiyah so that he should get him committed upon the conditions, which he had presented after a negotiation with him, and write down the agreement, and treaty of truce. A part of the truce treaty is as under: 1. The blood of the Shias must remain respect worthy and their rights must not be confiscated and crushed. 2. Filthy language must not be used against Hazrat Ali (a.s.) and his Shias. 3. 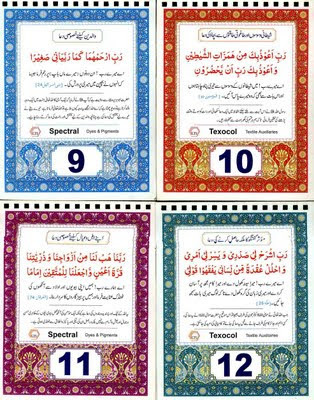 Muawiyah should practice upon the Book of God (The Quran) and the Sunnah of Holy Prophet Muhammad (saw). 4. The friends and companions of Imam Hassan (a.s.) must remain safe and secure from his mischief's and brutalities wherever they live and no one has the right to resist them. 5. Imam Hassan (a.s.) does not call Muawiyah, Ameerul Momineen and will not take his name in the Khutbas (sermons). 6. Muawiyah must not hand over the caliphate to anybody after himself. The Breaking of the Pact: After the peace pact was conducted, Muawiyah focused his attention upon Kufa and held the Juma prayer congregation at Nakheela. He evidently and clearly said in his Jumma speach "Oh people I did not fight against you so that you should offer your prayers and keep fast, instead, it was for the reason that I rule over you although you do not like it. I will crush all the conditions of truce pact conducted with Hassan bin Ali (a.s.) under my feet. But the conduct of Muawiyah in certain matters showed that he was strongly embarrassed and harassed due to the influence of Imam Hassan (a.s.) so that sometimes he was obliged to put into practice few of the points of the peace pact. So that once when Ibn-e-Ziad the governor of Kufa followed and chased (to punish) one of the friends of Imam (a.s.), Imam Hassan (a.s.) wrote about the incident to Muawiyah, who at once reprimanded Ibn-e-Ziad about this event. Finally Muawiyah Decided to make Yazeed his successor: But the pact, which he had signed with Imam Hassan (a.s.), stopped him from this act. He decided to poison the Imam Hassan (a.s.) so that the way to the succession of his son Yazeed should become open and clear. And then make the people forcibly take oath of allegiance (for Yazeed's). Therefore, he contacted "Jodah bint Asash" the wife of Imam Hassan (a.s.) and deceived by luring her and sent a poison for her, with the message that if you make your husband take this poison you will get a prize of one hundred thousand Dirhams from me. Besides, I will select you as the wife of Yazeed and you will become the wife of the caliph of Muslims. The dishonest hand poisoned the Imam's Utensil (food): Imam Hassan (a.s.)The womanly scruples regarding the money and fame blinded the eyes of the wife of Imam Hassan (a.s.) and made her accept the suggestion of the cunning fox and commit such a dishonesty which history will never forget. Although Imam Hassan (a.s.) had said several times that I will get martyred by my wife. And people had requested him that if it is so then divorce her and turn her out of your house. But Imam Hassan (a.s.) replied, "She has not yet committed any crime and if I turn her out of the house, I would not have done a right thing. Because, she will make this step an excuse and will say, Imam has turned me out of his house without any fault. So that by this means she may cover her crime up and show her work as correct. Beware; Muawiyah will not let me go. If I leave my wife, even then she will not abandon her dishonesty except this that she will carry her program forward under the cover of her being oppressed. Finally on the 28th day of Safar, 50th Hijrah when the weather was extremely hot and the Imam Hassan (a.s.) was fasting, Jodah bint Asash, poisoned his milk pot and presented to him for breaking the fast. Imam Hassan (a.s.) drank a portion of the poisonous milk and then addressed her, "Oh the enemy of God and Prophet Muhammad (saw) you have killed me. God kill you. By God, you and Muawiyah both will become abject, despised and helpless." And the same happened as he had foretold, and predicted. Jodah bint Asash was turned out of Muawiyah's court with humility and not very long had passed that she died. And Muawiyah too died of a terrible life taking pain. Imam Hassan (a.s.) passed away having faced pain and discomfort. And was buried in the graveyard of Baqi in Medina. God and Prophet's blessings be upon his pure soul. Name : Ali(a.s.) - the 1st Holy Imam Title : Ameer al-Momineen, Haider-e-Karrar, Sher-e-Khuda, Mushkil Kusha Agnomen : Abu Turab, al-Murtaza Father : Hazrat Abu Talib(a.s.) Mother : Bibi Fatima bint-e-Asad(a.s.) Birth : Inside Khana-e-Kaaba in Makkah on 13th Rajab (600 A.D.) Martyred : In Masjid-e-Kufa in Iraq on 21st Ramzan 40 A.H. (661 AD) Cause of Death/Buried : Hit by an attach during prayers and buried in Najaf-e-Ashraf (Iraq) Manner of birth: Imam Ali (a.s.) is the first child in the family of Bani-Hashem whose both selfs are children of Hashem. His father Hazrat Abu-Taleb(a.s.) is the son of Hazrat Abdul-Mottaleb(a.s.) the son of Hashem bin Abd-Manaf and his mother is Bibi Fatemah bint-e-Asad(a.s.) who is the son of Hashem bin abd-manaf. The Hashemi family in the tribe of Qoraish is well-known (famous) for its moral virtues and high (supreme) humanistic characteristics among the Arab tribes. Magnanimity, generosity, courage and so many other virtues are characteristics of Bani-hashem. 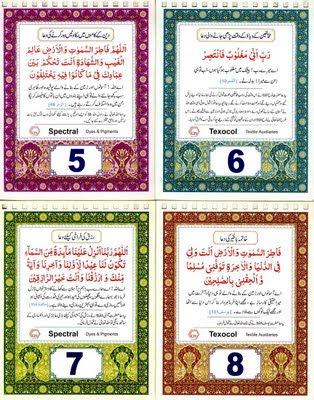 Moreover, each of these virtues at its highest degree exist in Imam Ali's (a.s.) existence. Bibi Fatemah bint-e-Asad(a.s.) went to the holy Kaaba when in labour pain and came close to the wall of Kaaba and said "O God, I have firm faith in you, the Prophets and the books sent by you and also the speech of my grand father the builder of this house . O God, in consideration to the respect of the one who built this house and for the sake of the child in my womb make the birth of this child easy". An instant later, in front of the eyes of Hazrat Abbass bin Abdul-Mottaleb(a.s.) and Hazrat Yazeed bin Taaf(r.a.) the south east wall of Kaaba cracked and Bibi Fatemah(a.s.) entered the Kaaba; the wall closed again. She was the guest of Allah(swt) for three days in the holiest place in the universe and there she gave birth to her child - Imam Ali(a.s.). Three days after the thirteenth of Rajab, thirty years passed the year of the Elephat; Bibi Fatemah bint-e-Asad, came out of the same cleavage in wall which opened again and said: "I heared a message from the unsean to call him Ali". 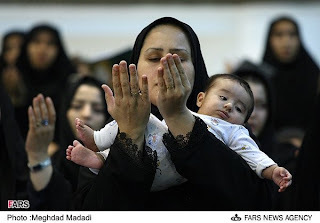 Period of childhood: The Holy Imam Ali(a.s.) stayed with his parents. Since it was Allah's(swt) will for him to gain more perfection, therefore, the honoured Prophet(pbuh&hf) from the beginning of his birth took care of his indirect education. Untill an unsual famine occurred in Mecca. Hazrat Abu-Taleb(a.s.) the uncle of the Prophet(pbuh&hf) having many children faced a heavy living expense. The honoured Prophet (pbuh&hf) with the consultation of his uncle Hazrat Abbas(a.s.), came to agreement that each one of them take one of the children of Hazrat Abu-Taleb(a.s.) with him as to make a relief for Hazrat Abu-Taleb(a.s.). Therefore Hazrat Abbas(a.s.) took Jaffar and the Prophet(pbuh&hf) took Imam Ali(a.s.) to his house. In this way the Holy Imam Ali(a.s.) was completely besides the Prophet(pbuh&hf). Imam Ali(a.s.) was always accompanying the Prophet(pbuh&hf) even when the Prophet(pbuh&hf) would leave the town and go to the mountain and desert. Appointment of the Prophet(pbuh&hf) and the Holy Imam Ali (a.s.): One of the virtues of the Holy Imam Ali(a.s.) is that he is the first one to testify the Prophethood of Prophet Mohammad(pbuh&hf). Ibn Abeel Al-Hadeed says related to this : Know that among the great , big and scholastic theologians of the Mutazilites there is no dispute that Ali bin Abee-Taleb is the first person to believe in Islam; and to support the messenger of God. The Holy Imam Ali(a.s.) the first supporter to the honoured Prophet: After the revelation of Allah(swt), the selection of the Prophet Mohammad(pbuh&hf) for prophethood and the three years of secret preaching, finally, the messenger of revelation arrived and the order for public preaching was given. At this juncture, the Holy Imam Ali(a.s.) was the only testifier of the Prophet(pbuh&hf); And was the only companion and sympathetic to his holiness in the invitation arranged to acquainte his relatives to Islam and to call them to the religion of Allah(swt). In this invitation the Prophet(pbuh&hf) asked the people present: "who is among you to help me in this way so to be my brother, successor and representative among you". Only Imam Ali(a.s.) answered : "O Prophet of Allah, I will support you in this way". The Prophet(pbuh&hf) after three times repeating the question and hearing the same answer said : O my relatives; Know that Ali(a.s.) is my brother , successor and Caliph after me among you. Of the other glories of the Holy Imam Ali(a.s.) is his perfect courage in sleeping in the Prophet's (pbuh&hf) bed , therefore, nullifing the plot of the idol- worshipers to kill the Prophet(pbuh&hf); And , furthermore, prepared the ground for the Prophet's (pbuh&hf) migration. After the migration of his the Prophet(pbuh&hf) and Imam Ali(a.s.) to Madina, we explain two examples of the virtues of Imam Ali (a.s.): 1- Sacrifice and endangering in the field of struggle His presence in 26 battles of the 27 battles of the prophet (p) and participation in different expeditions are of the glories and virtues of his holiness. 2- Registering (keeping) and writing the revelation [the Holy Quran]: Writing the revelation, organizing (arranging) many of the historical and political documents and writing propagational and invitation letters, both in Makkah and Madina, And for this reason he is considered one of the writers of the revelation and memorizers of the Quran. It was in this period that the Prophet(pbuh&hf) issued the decree of Muslim brotherhood, concluded the contract of brotherhood with the Holy Imam Ali(a.s.) and said to him: "You are my brother in this world and in the here after, swearing by Allah who has appointed me with the truth. I choose you as my brother, a brotherhood that is to the extent of both worlds". The Holy Imam Ali(a.s.) the son-in-law of the Prophet(pbuh&hf): The pond of Khom : In the last Year of the Prophet's (pbuh&hf) life, after finishing the rituals of piligrammage and when returning in a place called the Khom pond close to Johfa , he ordered to stop, because the revelation commanded the Prophet(pbuh&hf) to complete his message. After the noon prayer the Prophet(pbuh&hf) went up the (mimbar) pulpit of the camels' saddles and said: "O people, it is soon that I answer the call of Allah and go from among you. what do you think about me". 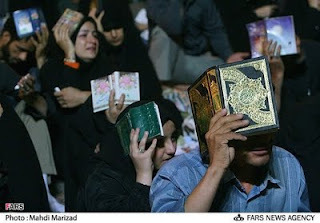 People said: "we witness that you have propagated the religion of Allah". Prophet(pbuh&hf) said:" Don't you witness that there is no God but the one God and Mohammad is his slave and messenger". People said:"Yes, we witness". Then the Prophet(pbuh&hf) raised the hand of the Holy Imam Ali(a.s.) and said: "O People! among the believers who is more worthy than them selves. People said : "God and his prophet know better". Then the Prophet(pbuh&hf) said:" O People, Allah is my master, I am your master and of whomever I am the master and leader, Ali is his master and leader as well. And repeated this sentence three times. then the people congratulated this selection to the Holy Imam Ali(a.s.) and swore allegience to him. The Holy Imam Ali(a.s.) after the death of the honoured Prophet(pbuh&hf) : After the death of the honoured Prophet(pbuh&hf) because of special conditions that had arised, the Holy Imam Ali(a.s.) withdrew from the scene of the society and choose silence; He neither participated in any struggle nor spoke officially in the society . He put the sword in the sheath and engaged with individual duties and educating the individuals. Activities of the Holy Imam Ali(a.s.) in this period were briefly as follows : 1- Interpretation of the Quran, solving religious problems and decreeing the rule of incidents that didn't have a resemblance along the 23 Years of the Prophet's (pbuh&hf) life. 2- Answering to questions of scholars from other religions and other towns. 3- Expressing the rule for many of the new events which didn't occur previously in Islam. 4- Solving the problems when the caliphate system faced dead ends in political matters and some other problems. 5- Educating and raising a group who had pure conscience and prepared soul for spiritual journey. 6- Work and strife to secure the life of many of the poor and disabled to the extent that he would establish gardends and extract aqueducts and then would give them as endowments in the way of Allah(swt). Period of the caliphate of the Holy Imam Ali(a.s.) In the time of his aliphate many wars occurred as Siffin, Jamal and Nahrawan which had specific consequences. After the war of Nahrawan and the suppression of the Kharijites, some of the Kharijities among whom was Abdul-Rahman bin Moljam Moradi and Barak bin Abdulla Tameemi and Amr bin Bakr-tameemi in one of the nights got together and considered the ciruimstances of that time the blood-sheds and civil wars and remembered Nahrawan and their deads and finally reached to this conclusion that the reason for this blood-shed and brothers killing are the Holy Imam Ali(a.s.). 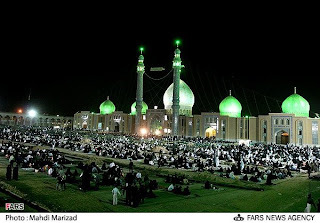 Ibn Moljam undertook killing the Holy Imam Ali(a.s.) and on the ninetheenth night of the month of Ramadan accompanied with some stayed in the mosque of Kufa. That night the Holy Imam Ali(a.s.) was a guest of his doughter's and was aware of the morning accident. When he mentioned this subject to his daughter, Umm-e-Kulsoom said: Tomorrow send Joada to the mosque. The Holy Imam Ali(a.s.) said: It is not possible to escape the Godly decree, then he fastened his belt and while humming these two verses he went to the mosque. Fasten your back firmly for death Because death will meet you and when death comes to you don't fear or scream While the Holy Imam Ali (a.s.) was in prostation, Ibn Moljam hit him with the sword on his forehead and blood from his holiness head streamed in the altar and blood dyed his honoured beard. In this condition his holiness said: I swear by the Allah of Kaaba that I was successful. Then related verse 55 from soora Taha: From it we created you and into it we shall send you back and from it we raise you a second time. The Holy Imam Ali(a.s.) was at his last moment of his life still thinking of the welfare and happiness of the peoples adviced his chidlren relatives and all the Muslims saying : I advice you of piety and to organize your deeds and always think of causing reconciliation among the Muslims. Don't forget the orphans, regard the rights of the neighbours. Make Quran the practical programme for yourself. Respect (honour) praying because it is the pillar of your religion. The Holy Imam Ali (a.s.) attained martyrdom on the 21 st of the month of Ramadan and was burried in Najaf in Iraq. His shrine became the tryst for the lovers of the truth and reality.